Motorsports can really drive your adrenaline rush. But when you get injured the only “rush” you’ll want is a way to overcome your pain immediately. Sometimes motorsports injury can heal on their own. However this healing process can take a long time. By using massage therapy and/or chiropractic care you can accelerate the healing process. Physical therapy and proper manipulation of the body restores the proper functioning of the injured part. It increases blood and essential nutrient flow to the injured region which speeds healing. Motorsports injury can be very painful. Depending on the injury you can overcome the pain and problem without surgery. In a lot of cases, your body can heal itself by proper spinal manipulation, increasing the blood flow and rest. Surgery should be a last resort since by its’ nature is permanent. Physical therapy not only heals pain but can also prevent chronic condition symptoms. Proper therapeutic help and safe spinal manipulation will enable you to return to your lifestyle faster. Chiropractic care has helped many people reduce or end their chronic suffering quickly and safely. This also helped increase their mental acuity and brightened their outlook. Motorsports accidents can easily hurt your spine badly. Your spine is one of the most important structures in the body and when misaligned can cause all sorts of problems. When you are in a motorsports accident or even just a regular car accident, the sudden rapid change in movement causes your body to twist in a way not intended. Chiropractic care can return your body to its original position. When looking for a good chiropractic doctor or massage therapist, make sure he/she is licensed and has the experience you need. Central Street Chiropractic provides you with care from the chiropractors over 25 years of experience. 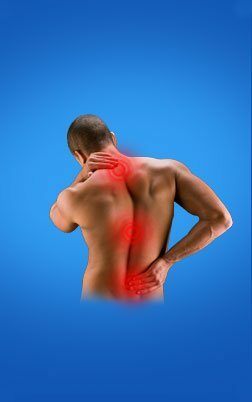 Visit www.centralstreetchiropractic.com to find out more about how we can help you.